We study the connection between physiology and behavior. Our goal is to understand how the brain senses the needs of the body — such as the need for food or water or warmth — and then generates specific behavioral responses that restore physiologic balance. 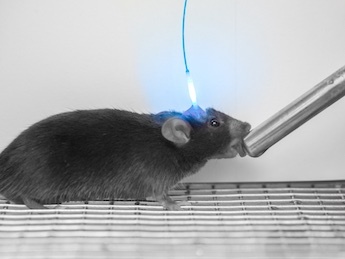 To address this question, we use a diverse set of experimental strategies including systems neuroscience approaches such as optogenetics and calcium imaging; molecular approaches such as RNA sequencing and mouse genetics; and classical approaches such as surgical and pharmacologic manipulations. In addition, we develop new tools that enable the molecular identification of functional populations of neurons by RNA capture and sequencing. Through the use of these approaches, we aim to identify the molecules, cell types, interconnections, and activity patterns that drive homeostatic behaviors, and further uncover how these circuit elements become dysregulated in conditions such as obesity. Our research is focused on three related topics: the control of hunger, thirst, and body temperature. A general principle emerging from our recent work has been the discovery that homeostatic circuits — long thought to function primarily by reacting to physiologic imbalances — instead utilize sensory cues to anticipate those physiologic changes and then adjust behavior preemptively. An ongoing interest of the lab is to understand how homeostatic circuits integrate sensory information from the outside world with internal signals arising from the body in order to generate and shape goal-directed behaviors. Lesioning studies performed nearly 100 years ago identified the hypothalamus as a critical structure for the control of food intake. However the dynamics of the hypothalamic circuits that give rise to feeding behavior have long been a mystery. In 2015, we reported the first measurements of the activity dynamics of hypothalamic neurons that control hunger (AgRP neurons) in awake, behaving mice (Chen et al. 2015). Prior to our work, these cells were thought to be regulated primarily by hormones and nutrients that circulate in the blood, such that their activity would gradually fluctuate in unison with changes in nutritional state. We discovered unexpectedly that these hunger neurons are also potently regulated by sensory cues associated with food: that is, we found that merely showing a piece of food to a hungry mouse was sufficient to shut off its AgRP neurons within seconds, often before a single bite of food could be consumed. We showed that this sensory regulation resembles an expected value calculation, in which the mouse uses sensory cues to predict the nutritional value of a forthcoming meal and then adjust the activity of its hunger neurons before the meal begins. These counterintuitive findings revealed that hypothalamic hunger circuits, long thought to function merely as sensors of internal state, also receive real-time information about the availability of food in the external world, which they use to anticipate impending physiologic changes and then reset neural activity preemptively. 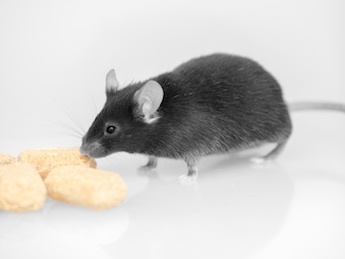 The rapid sensory regulation of AgRP neurons posed a paradox: if these neurons shut off when a mouse sees food, then how can they drive feeding at all? In 2016, we outlined a solution to this puzzle (Chen et al. 2016). We showed that AgRP neurons transmit an unusual “sustained hunger signal,” such that the firing of these cells prior to food discovery can continue to drive feeding for tens of minutes after AgRP neurons have shut off. We showed that this long-lasting hunger signal acts by potentiating the rewarding sensory properties of food — essentially, by making food seem more delicious — and furthermore that AgRP neuron activity is positively reinforcing. These findings revealed the motivational mechanism by which AgRP neurons drive food intake and raised a number of new questions about the circuit processes underlying hunger. An increase in the osmolarity of our blood by as little as one percent is transformed by the brain into the sensation of thirst — a sensation that is sufficient to orient and energize all of our actions toward the goal of finding water. Our research aims to understand how this remarkable transformation is performed. Two small subcortical structures, known as the SFO and OVLT, are thought to monitor the state of the blood and transduce that information into the sensation of thirst. Yet how these neurons control drinking behavior has remained unclear, in part because of a lack of information about their in vivo dynamics. In 2016, we reported the natural dynamics of SFO thirst neurons in awake, behaving mice (Zimmerman et al. 2016). Consistent with the textbook model, we found that these thirst neurons are regulated by homeostatic signals such as the osmolarity and volume of the blood. Unexpectedly, we found that these neurons also receive rapid signals from the oral cavity during eating and drinking. We showed that these rapid oropharyngeal signals effectively “predict” how ongoing food and water consumption will alter fluid balance tens of minutes in the future, after the food or water has been absorbed and entered the bloodstream. We showed that thirst neurons compare these anticipatory signals from the oropharynx with the current state of the blood, which they measure directly, in order to decide when drinking should start and stop. These findings provide a neural mechanism to explain longstanding behavioral observations, including the prevalence of drinking during meals, the rapid quenching of thirst, and the fact that oral cooling is experienced as thirst-quenching. When we are exposed to cold or warmth, our brains trigger an array of autonomic, behavioral, and neuroendocine responses that defend body temperature against change. Our research aims to understand how these diverse responses are coordinated by the brain. Nearly 100 years ago it was proposed that specialized neurons in the preoptic hypothalamus — known as “warm-sensitive neurons” — act as the master regulators of body temperature in mammals. However, the identity of these cells has been elusive, hindering efforts to define the circuit mechanisms responsible for thermoregulation. In 2016, we reported the molecular identification of these warm-sensitive neurons and the functional characterization of their associated circuit (Tan et al. 2016). The key to this work was the application of an unbiased approach for molecular profiling of activated neurons, known as phosphoTRAP (Knight et al. 2012). Using this approach, we showed that warm-activated neurons in the preoptic hypothalamus are uniquely defined by the expression of two neuropeptides, BDNF and PACAP. Optical recordings from these warm-sensitive neurons in awake, behaving mice revealed that they are regulated by thermal signals from the skin and narrowly tuned to respond to innocuous warmth. Through optogenetic manipulations, we showed that activation of this single neural population is sufficient to trigger the coordinated behavioral and autonomic responses to heat. 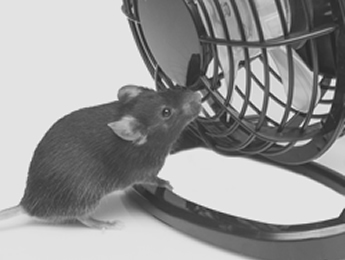 For example, activation of these cells causes body temperature to plummet at the same time that mice engage in vigorous cold-seeking behavior. These findings identify a central convergence point for the regulation of body temperature in the brain and open the door to systematic genetic dissection of the thermoregulatory circuit. The neural circuits we study are embedded within brain structures such as the hypothalamus that contain a vast diversity of neural cell types. In recent years, our ability to probe these circuits has been revolutionized by the emergence of targeted methods for monitoring and manipulating molecularly defined cell types. Yet we still do not know the identity of the vast majority of the neurons responsible for behaviors such as eating and drinking and, as a result, large parts of this circuitry remain beyond the reach of targeted approaches in neuroscience. To address this challenge, we develop tools that enable the unbiased molecular identification of functional populations of neurons in the mouse brain. 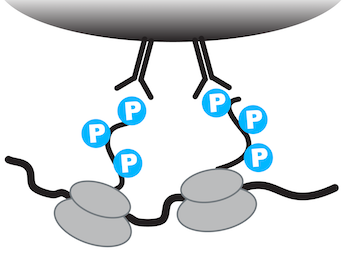 The prototype for these approaches is phosphoTRAP, a technique that exploits the fact that the ribosome undergoes activity-dependent phosphorylation in neurons (Knight et al. 2012). We showed that these phosphorylated ribosomes can be captured from microdissected homogenates of the mouse brain, thereby enriching for the mRNA selectively expressed in neurons that respond to a stimulus. This enriched mRNA can then sequenced to reveal the molecular identity of the activated neurons, an approach we have used to identify new cell types involved in feeding (Knight et al. 2012) and thermoregulation (Tan et al. 2016). We are currently developing a number of approaches that enable the selective capture of RNA from neurons that have specific functional properties.